Obesity is a continuing issue around the world and in many contexts. The growing number of obese people is an increasing concern for those in the medical profession, and obesity can pose specific challenges in relation to fertility and pregnancy. Patients who are obese require specific considerations and knowledge. Bringing together experts from a variety of specialties to examine the issues and challenges of obesity, this book discusses how obesity affects fertility, reproduction, and pregnancy. Beginning with an exploration of the epidemiology of obesity, further chapters focus on specific issues related to obesity and both male and female reproduction, the complications of obesity during pregnancy and labour, and the long term effects of obesity. 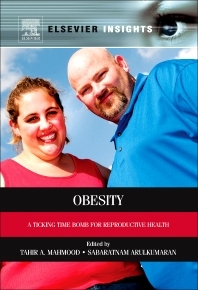 This is the most comprehensive resource to examine the topic of obesity and reproductive issues, making it invaluable for medical students, professionals, and researchers in public policy and medicine. Does Obesity Predispose to Pre-Eclampsia? Is ‘Pre-Eclampsia’ in the Obese Pregnant Women Really Underlying Chronic (Essential) Hypertension? 32. Anti-Obesity Surgery for Women Planning Pregnancy? What Is a Standard in Health Care? What Measures Should be Used When Defining Standards of Care? How Can We Deliver this Care? How Can We Improve the Services and Promote Weight Loss?